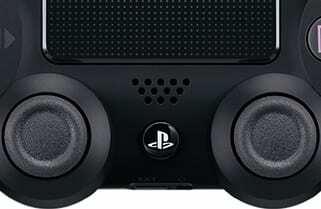 Get the most out of your PlayStation and buy the DUALSHOCK 4 controller. 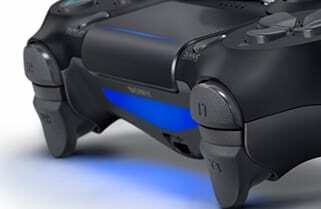 This PlayStation 4 controller is one of the most advanced and intuitive to be made for the popular console. Hold the key to incredible precision gaming with the lightweight design and featuring a responsive touch pad to enhance your games. Enjoy more ways of playing with the built-in touch pad that offers precise gaming and displays a light bar adding a whole new element to your gaming. 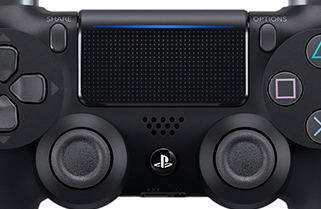 Experience unparalleled control and buy the DUALSHOCK 4 controller today. See even more of your games with the integrated light bar that glows with various colours depending on in-game actions, character choices and can even display your in-game health - light bar now visible on the touch pad. 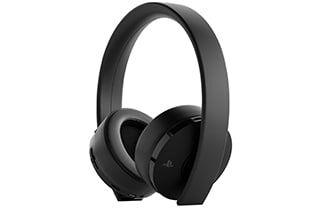 Bring your games to life and hear every detail with sound effects whether it's listening to police radio chatter in Grand Theft Auto V or firing your bow in Horizon Zero Dawn, sound comes directly from your DUALSHOCK 4 wireless controller.